The ThreeSix Mini cruiser/slalom deck is finally here! Like its full sized brother, this isn't just an attempt at making an aluminum longboard. 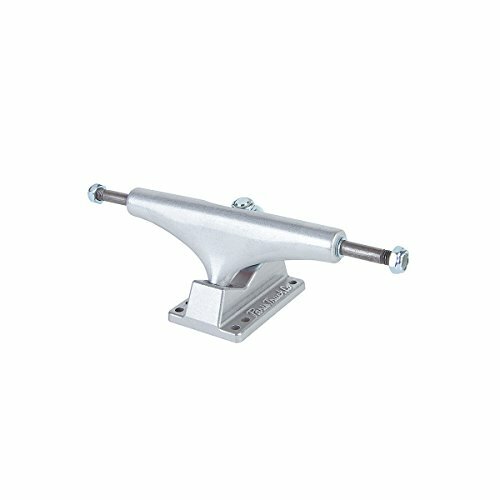 It is the product of hundreds of hours of design and testing to create the ultimate aluminum cruising and carving deck. The mini ThreeSix was designed to pack the rigidity, precision, and life long durability of the full size topmount into the same good looking, weight-saving design that feels great under the rider's feet. The Mini is still 28.5" which is perfect for a campus cruiser, small enough for some serious carving, and with a functional kick tail and an INSANE number of wheelbase options, the mini ThreeSix can be dialed for everything from kickflips and cones to garage bombing and 60mph runs! Like all ThreeSix decks, the Mini starts life as a solid plate of the same heat-treated aircraft grade aluminum used to machine precision trucks. 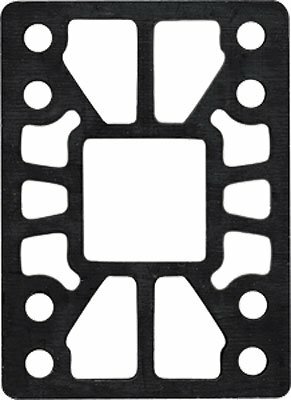 The design is cut through the cold process of CNC waterjet cutting, preserving the heat tempered state of the material while taking the plate from a nearly six pound sheet down to it's final weight of just under 3 1/4 pounds! More scrap is cut away than is left in the deck! Concave is then slowly pressed into the cut shape via a steel mold providing the deck its foot-hugging rigid chassis. "Form over Function" doesn't apply to any of our decks, and the mini ThreeSix is no different. Every cut and every angle was made for a reason. Turning a six pound plate into a 3.2 pound deck that can still handle the abuse of downhill skateboarding isn't easy. All of our decks are simulated under various loads/positions: One foot pushing, 45mph rolling over sidewalk cracks, race tuck, hard cornering, full slide, and fatigue tested to over a billion cycles. 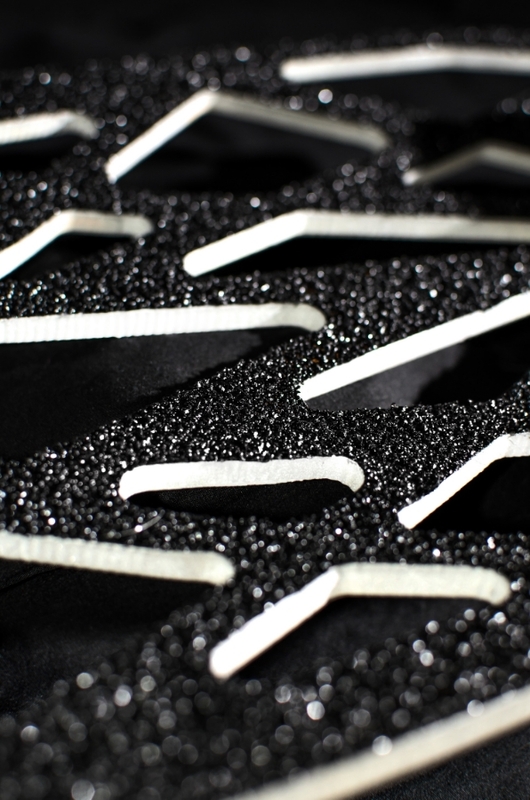 The truss-like chassis is engineered to distribute these forces evenly across the frame while allowing material to be cut away where it needed the least. The result is a stable, responsive, lightweight 28.5" aluminum deck with an ultra low ride height, fully functional tail, tail mount options for pumping and slalom, all while being small enough to toss under your desk or clip to a backpack: The ThreeSix Mini. SETUP TIPS: For a tail mounted slalom/pumping setup, check out these suggested accessories to get the most out of your mini ThreeSix! With a 15° tail mount, a 15° wedge riser will level out your back truck. Add even more (extra 5-10° or more) to get a nice split angle! 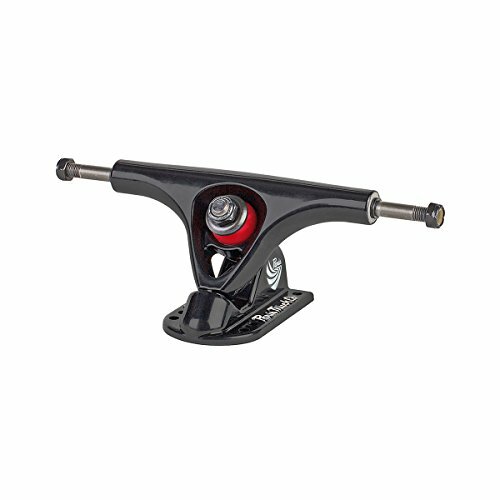 Also, 139-150mm trucks are the best fit for the mini ThreeSix! 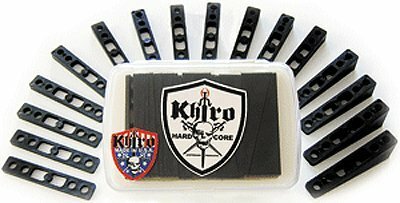 For the best possible setup, check out these suggested components! 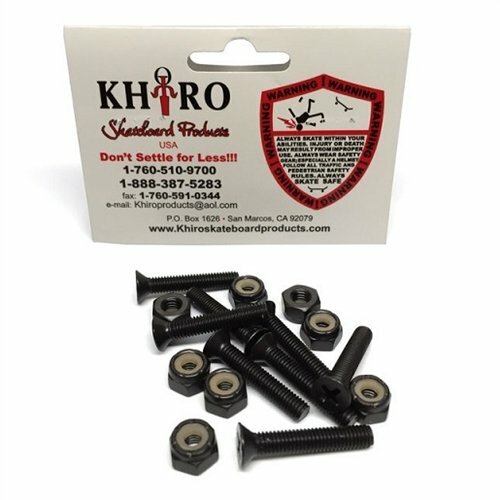 Khiro Straight Wall Hard Black Riser Pads - 1/2"
Khiro Phillips Standard Flathead Skateboard Hardware Set - 2 1/2"